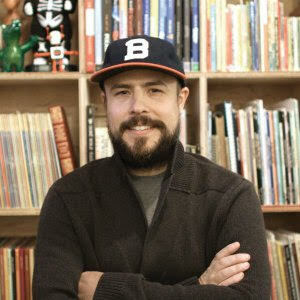 Alison Shaffer: Book Giveaway: The Biggest Story: How The Snake Crusher Brings Us Back To The Garden. 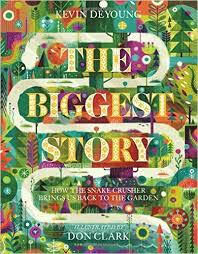 Book Giveaway: The Biggest Story: How The Snake Crusher Brings Us Back To The Garden. When I saw this book was available for review/giveaway, I was like no way do I want to review that book, it is about Snakes. The thing that made me say yes, was the illustration is absolutely amazing. The illustrations are done by award winning artist Don Clark, who is also the cofounder of Invisible Creature, and a father. 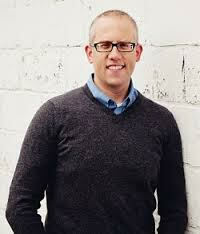 The book's story is written by Kevin DeYoung, best selling author, and father of six. The story begins with the Garden of Eden, to Christ's death on the Cross, to the new heaven and new earth. 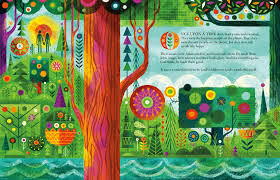 The book is wonderful to read to yourself, to your kids, and for independent readers. 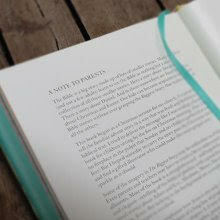 A beautiful book for gift giving! Children and parents can follow the Bible's core message and how the Snake Crusher brings us back to the garden, and God's promise. I just love the illustrations, that I can look past that creature and get to the message of the book. Every page is fully illustrated in color and there is a ribbon bookmark attached to the book. But best of all-the snake crusher is coming back to wipe away all that is bad and sad! Open to residents of USA 18 years of age and older.